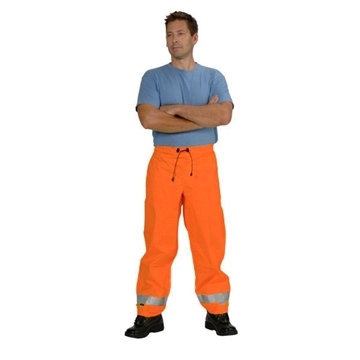 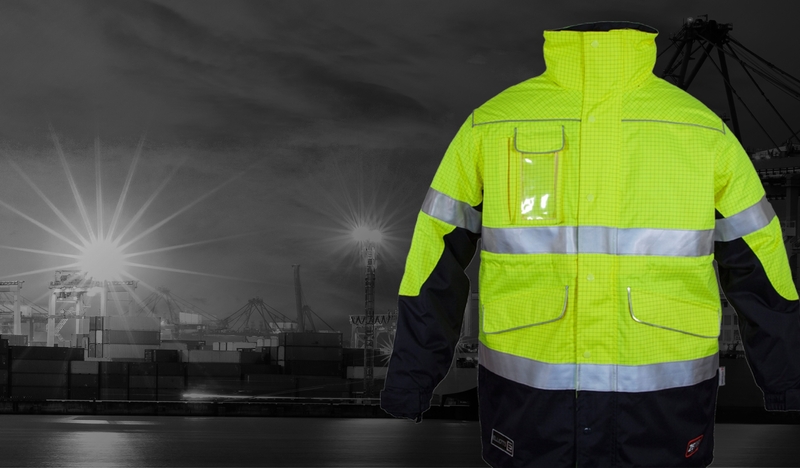 ZETEL® ArcSafe wet weather clothing is waterproof, breathable, windproof, flame resistant and offers protection against electric arc hazards. 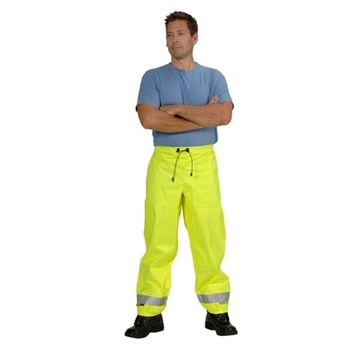 The breathability offers high comfort levels while the 3-layer construction ensures durability and protection. 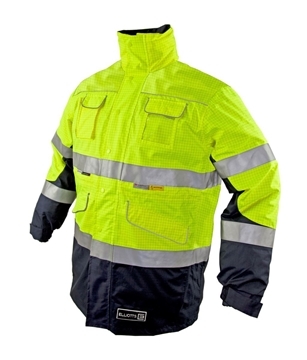 Z50 ZETEL® Fire Retardant Anti-static Wet Weather Jacket offers increased hazard specific protection, which was developed to address specific FRAS needs and hazards for Australasian conditions. 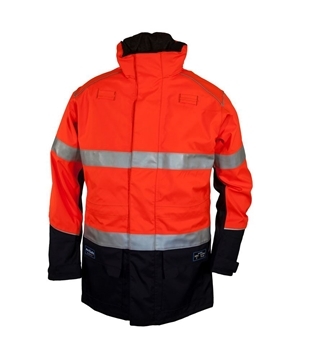 Even more so Elliotts’ Z50 Zetel Jacket is what we refer to as a ‘true 4-in-1’. 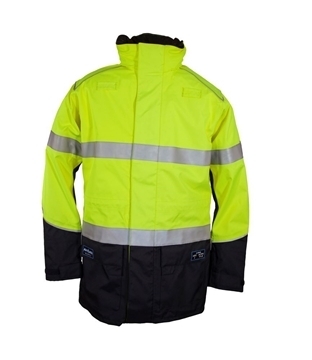 Wear it as a complete jacket (1), only as the inner winter jacket (2), or only the outer shell for rainy weather (3), or simply keep your core warm with the vest (4). 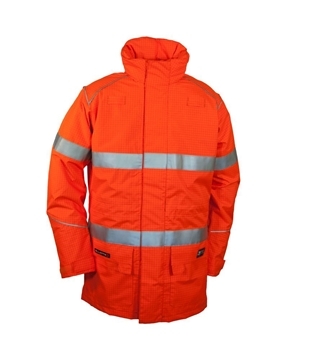 Z59 ZETEL® Fire Retardant Anti-static Wet Weather Jacket offers increased hazard specific protection, which was developed to address specific FRAS needs and hazards for Australasian conditions. 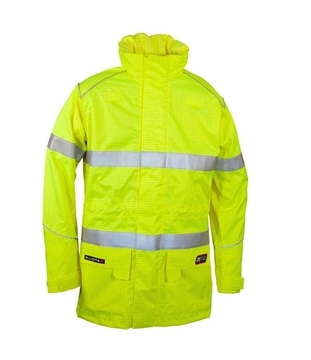 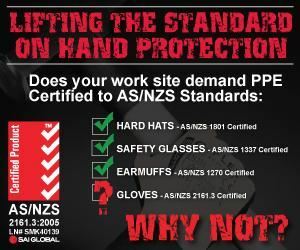 Z49 ZETEL® Fire Retardant Anti-static Wet Weather Jacket offers increased hazard specific protection, which was developed to address specific FRAS needs and hazards for Australasian conditions.